New 4G price plans have been announced by EE, currently the only network in the UK to offer the super fast mobile service. At the heart of the new deal mania over at EE are three new tariffs, with the first 'entry-level' offering setting you back a princely £31 for unlimited calls and texts but just 500MB of data. Now that sounds like an awful deal with a supremely poxy amount of data, but EE's hook is the cost of the handset, asking for just £29.99 upfront if you fancy the HTC One SV or Nokia Lumia 820. It's quick to point out that's a saving of £90 compared to its current price plans, but considering you can have the Lumia 820 for free and 1GB of data from around £26 per month on a 3G tariff it's slightly less appealing. Super Price Plan to the rescue! 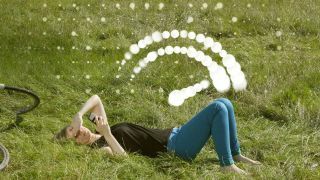 If your pockets are deep and your need for consuming data on the go high than EE's second tariff may attract. You'll need to stump up £46 per month over two years for this SIM-only offer, but alongside your unlimited calls and texts you'll get a mammoth 20GB of data. With that amount of data you'll actually be able to copy Kevin Bacon in the network's TV ads who seems to have a movie streaming constantly on this 4G handset, but he does have deep pockets so that's okay. If you don't have a 4G handset ready to go then you can grab one from EE, but it will bump the monthly price of the 20GB contract up to an eye-watering £61. The 20GB plan is only available for a limited time, so you'll need to sign on before February 28 if you want to go data crazy. If you're a little less flush in the money department EE is also launching an 8GB SIM-only tariff, although it will still set you back £41 per month and if you're prepared to pay that you might has well go the whole hog and plump for the 20GB option. 4G will get cheaper (we hope) in time, but for now it's still a premium service with a price tag to match.